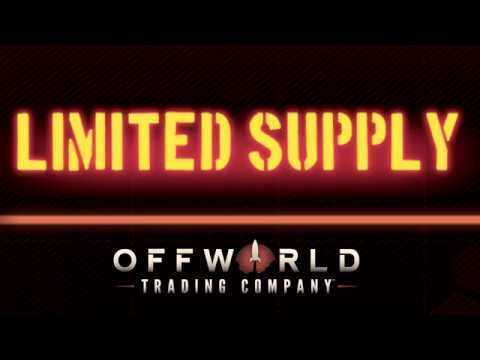 Offworld Trading Company has been updated with Steam Workshop support! The Blue Chip Ventures DLC is available today! 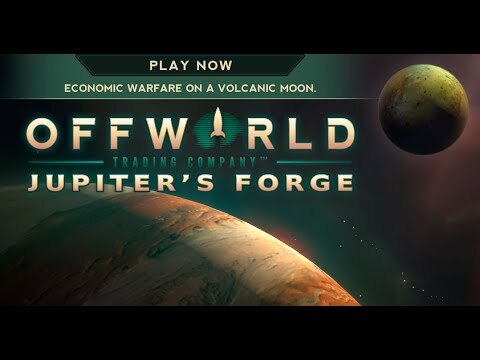 The Jupiter's Forge expansion was announced today! Thrive on the Volcanic Moon of Io and Crush your Competition in Jupiter's Forge, available today! Conspicuous Consumption DLC was released today and brings cosmetic upgrades for advanced buildings with custom art, animations, and audio lines. Last edited by Island Dog; October 9, 2017, 14:57. Thanks for sharing. Started to watch! The new Limited Supply DLC is available today which lets you play over a dozen unique and challenging scenarios about humanity's settling of Mars and aid the growing colonies to ensure their futures. 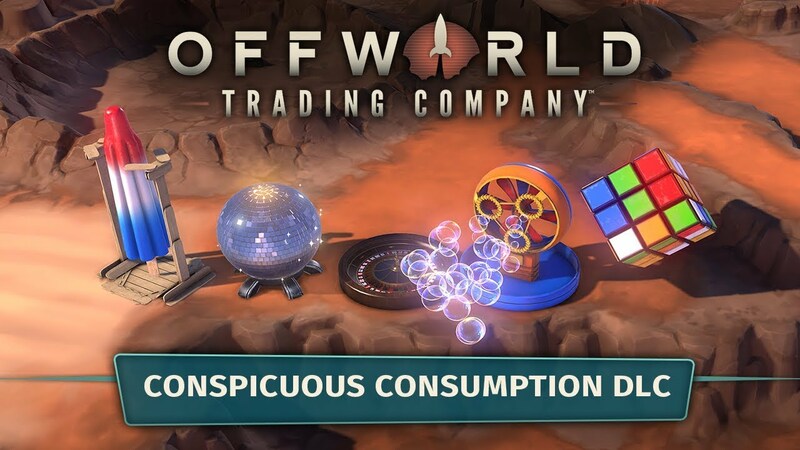 Offworld Trading Company is having a FREE weekend on Steam starting today and is on sale up to 65% off! We're also streaming the game on Steam. Does OTC have a strong community behind it? Is it easy to find people to play with? 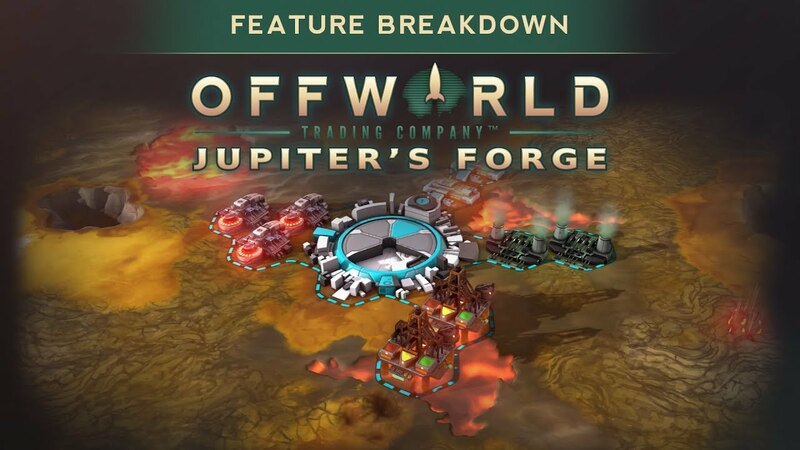 Play Offworld Trading company for FREE with the new multiplayer client! The new Market Corrections DLC is also available today.